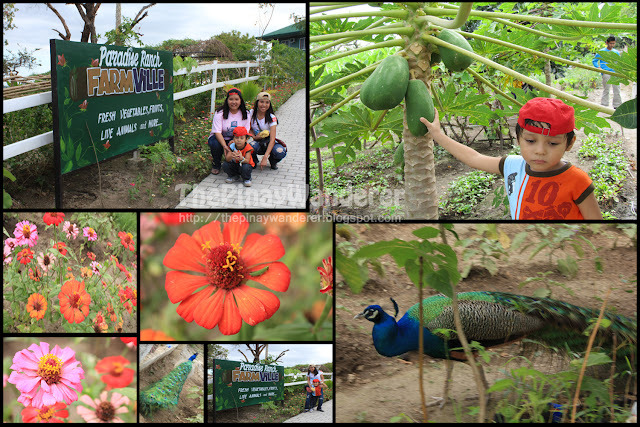 Paradise Ranch is a nature and conservation park located in Zoocobia Valley in Clark, Pampanga. It is managed by a non-profit organization dedicated to promoting environmental conservation through reforestation and animal and wildlife preservation. It promotes responsible charity through "work for food" and "work for school" programs. 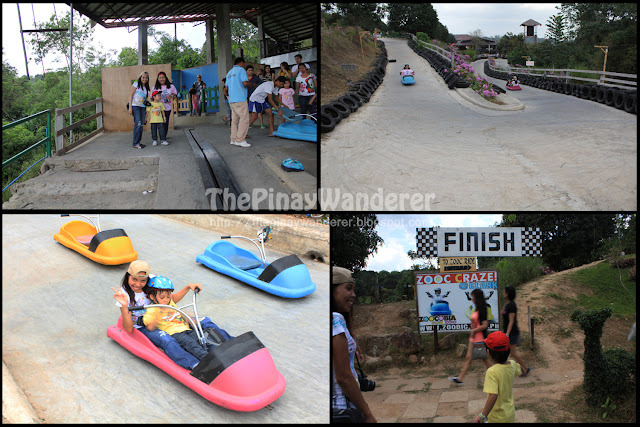 It is also the home to Zoocobia Fun Zoo, a zoo that features among others, "bird thrill" and "zooc ride". Paradise Ranch was our third and final destination in our day adventure here in Clark, Pampanga. 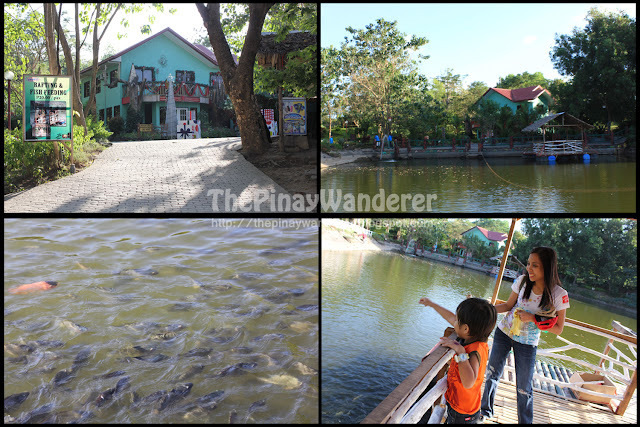 It started with our trip to the hot air balloon festival and then to the Nayong Pilipino. 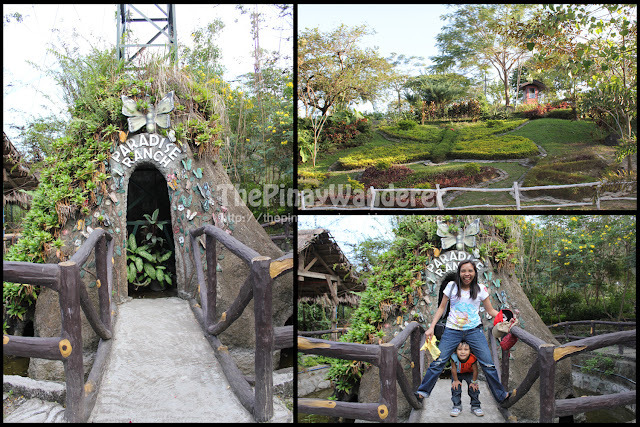 Here are some of the attractions in the park that we're able to see and explore. 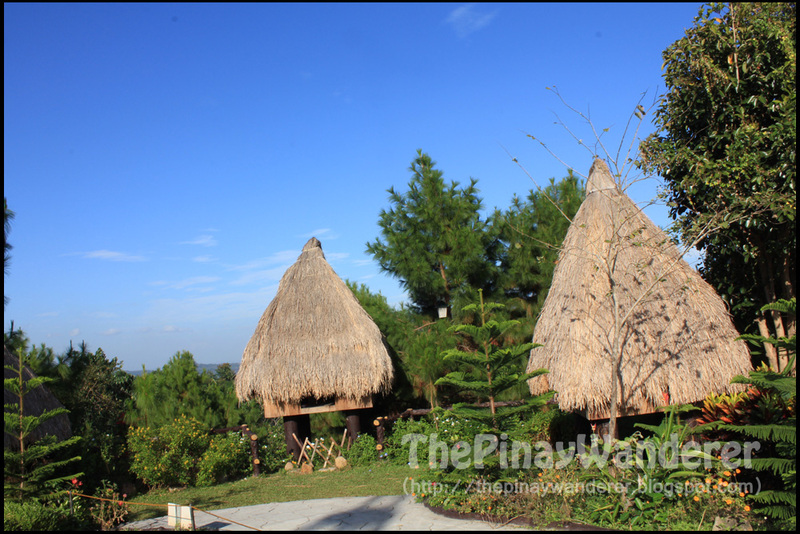 This is the section of Paradise Ranch where you can find pine trees and the replica of "mines view structure" (photo above) as well as the replica of the Ifugao house. 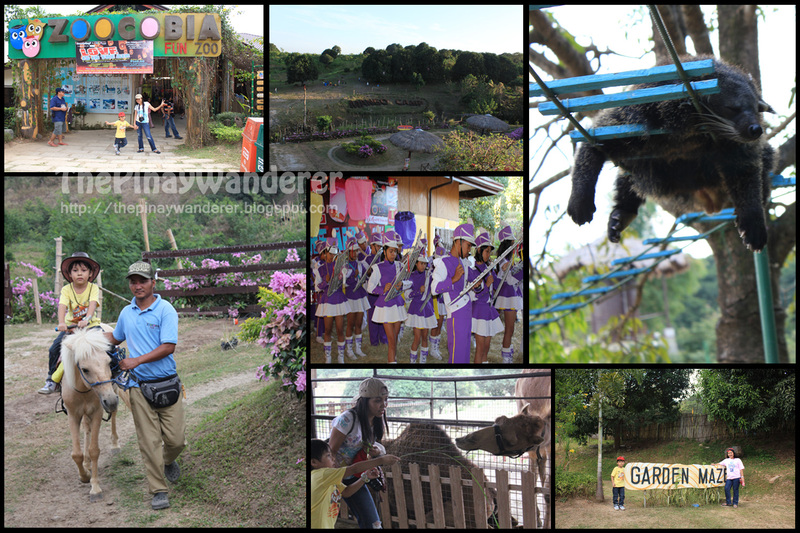 In this section, we got the chance to see the surrounding views of the valley and enjoy the fresh air, very relaxing. We also have a chat with a local watching the mini-store (Paradise Ranch has several mini-stores strategically located in its various sections), who actually came from Ifugao, if I remember it right. The Prayer Garden is the highest section of the park. Here, you can experience some quiet moment, and you can pray and meditate. There is also a wishing well here where one can drop a coin, ring a bell and make a wish. Naturally, we made our own wishes there. And I say a short prayer of thanksgiving, for letting as wander through this place, for letting us experience this wonderful adventure. Zoocobia Fun Zoo features many attractions that children will enjoy like birds of paradise, garden maze, the barn, giant slide and of course, the famous gravity car. 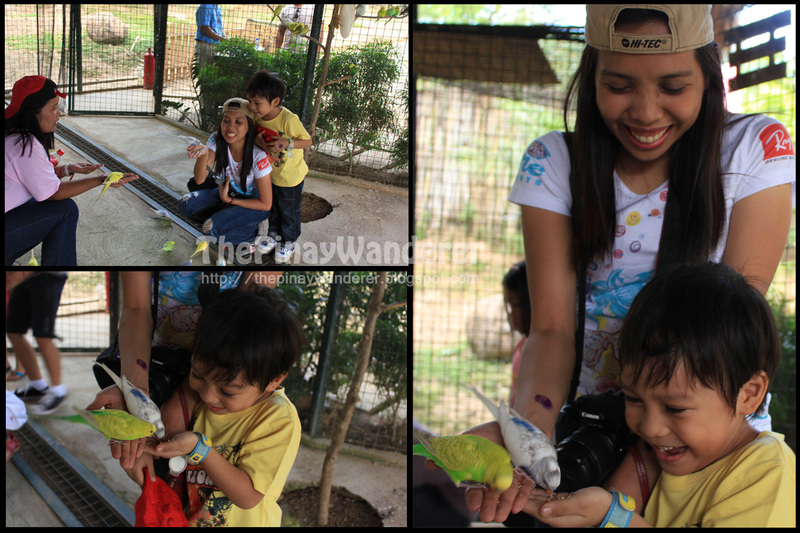 Our first stop in this zoo was at the birds of paradise where we experienced feeding the birds in the palms of our hands. My friend's son was at first afraid of going inside but later on enjoyed feeding the birds too. There are a lot of wild and exotic animals in this zoo. And being a zoo, of course there's a snake there available for picture taking. I'm afraid of snakes and I can't bear the cold and scaly feel of this creature so of course, I didn't attempt to pose with it, not even touch it. 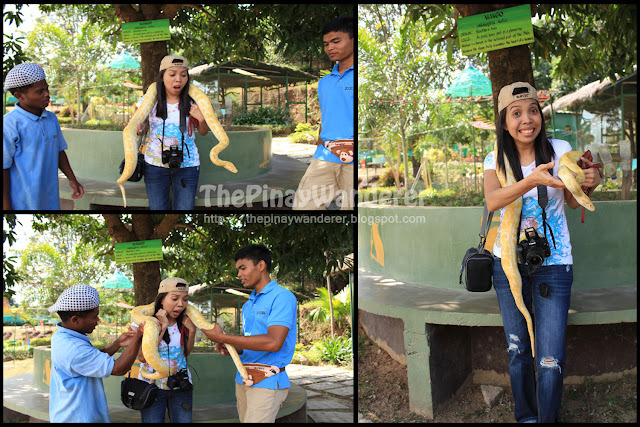 My friend was brave enough though, and she posed with the snake...weeeeee, scary...hehe! After watching and feeding some animals, we then proceeded to the zooc ride area. There were only few patrons when we reached the zooc ride section so we're able to ride just after a few minutes of waiting. Being a newbie who really doesn't go for adventures (I haven't even rode a bump car before this), I wasn't able to enjoy my first ride in the gravity car. The car stopped (I applied too much pressure on the car's break) just before I reached the first loop of the race track. On the second loop, I bumped into the side barricade which made the car stopped again. So embarrassing..hehe. Seems u guys had a very wonderful time, i hope someday soon, will be able to go there and experience the fun too. My son will defintely love the zoo, he's an animal lover kc. Sige nga try din naming pumunta dyan kung sakaling manood uli kami ng hot air balloon next year. 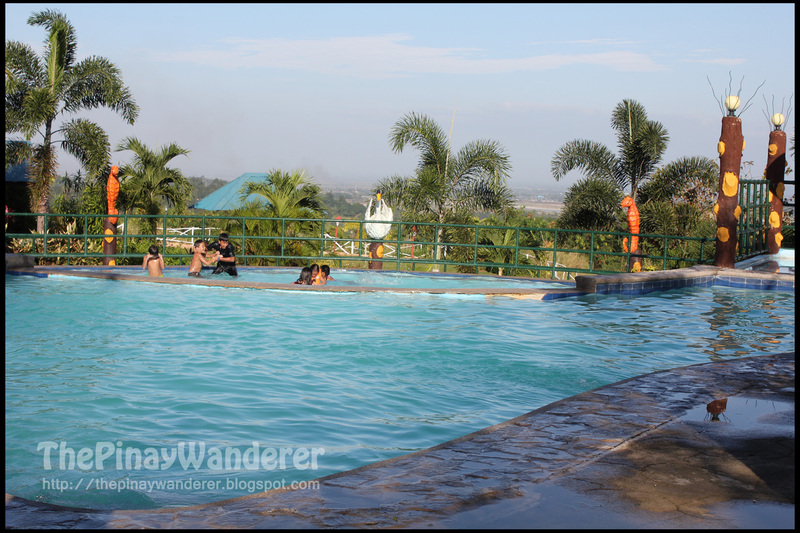 Ang dami namang babayaran para ma enjoy yung buong place!! waaaaaaaaa! Hi Anney! Maganda rin naman gala nyo after hot air balloon fest eh, busog na ang tyan, pati mata busog din sa dami ng makikita. About the expenses sa PR/Z, isipin mo na lang na meron ka naman matutulungan na scholars, dun daw kase nila ginagamit ang portion ng income ng park eh. Saka para din daw sa conservation and preservation ng nature, keri na yun, minsan-minsan lang naman eh..hehe! been in pampanga for quite a while, pero di ko pa naririnig tong lugar na to. must-see. 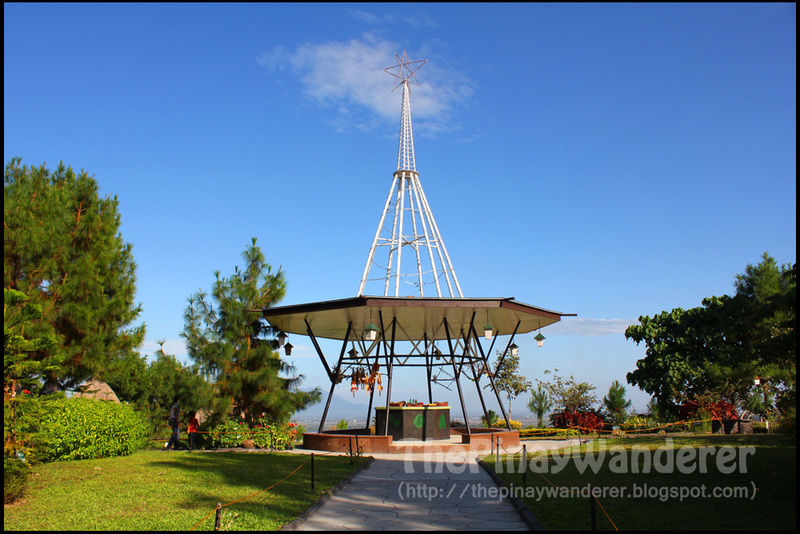 Andami palang pwedeng puntahan sa Clark, sino kaya pwedeng guide? Hi Gracie! Haha, para sa 'kin ba yun question? haha..., pwede naman po kita samahan, commute nga lang tayo kase ala akong car, hehe! At ang dami pa talagang pwede puntahan dun, I heard magaganda din mga resorts dun, may kamahalan nga lang...hehe! This is the first time I've read about this! Gravity car looks FUN! Hi Gay! I believe Paradise Ranch was opened a few years back (heard it from friends) and it's operational since then. 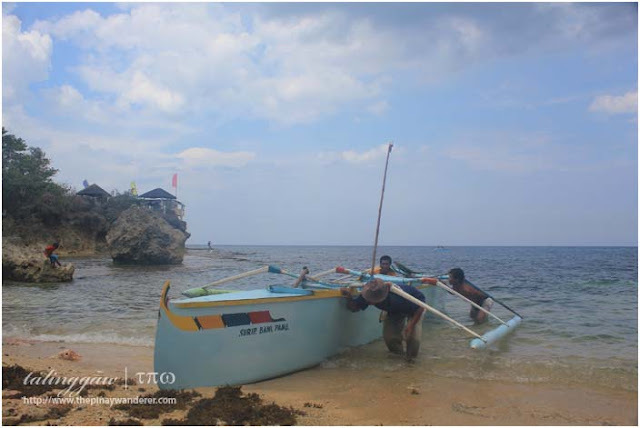 It's a usual destination for field trips and educational tours though some of its supposed attractions are still under construction. And the zooc ride (gravity car) is indeed fun, I heard it's the first here in the Phils. Singapore has it too, I think they call it luge car. Thanks Lagalag, maganda kase yun place kaya maganda rin yun pic, hehe! binabasa ko na sana eto eh nakita ko pa yung snake (nginiiiig), bye. balik na lang ako sa ibang post sa ibang araw. lol. Paradise Ranch indeed is great! 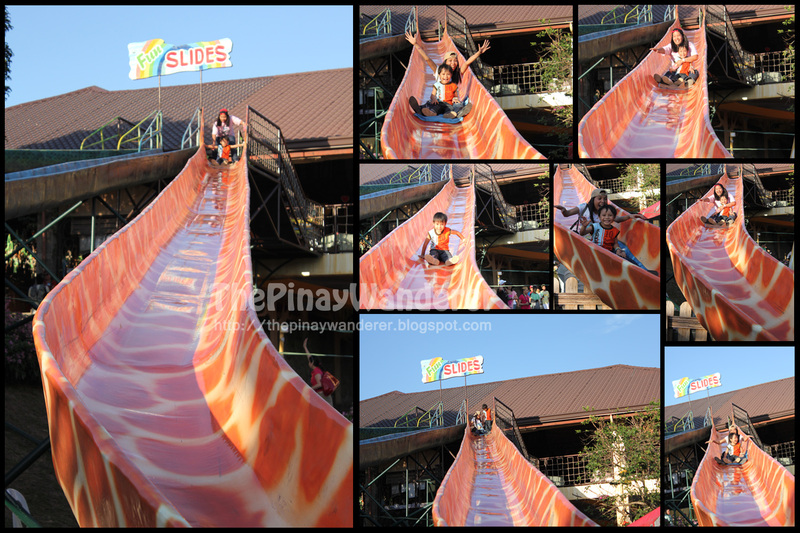 except for the giant slide.. i hope they can put some improvements on the safety of the visitors.. as experienced kasi my husband and kid try the slide and get bruises on his elbows.. d maganda ung babagsakang mga balls kasi rough parin ung sa ilalim kaya nakakasugat.. but everything were ok u won't get bored here.. thanks and more power! hi! 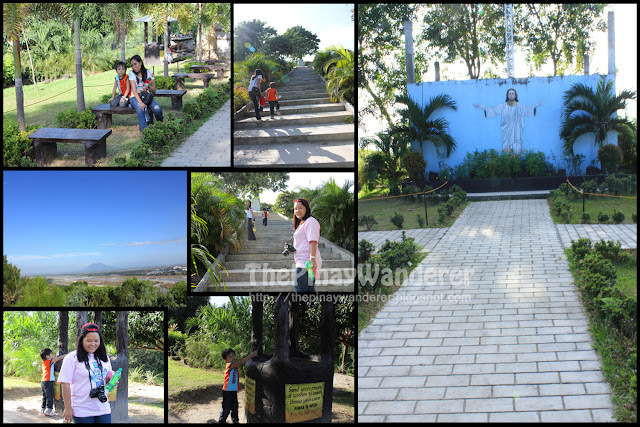 We're also planning to visit the place pero we don't know how to get there. I heard we can ride a bus going to Dau then from there, I don't know na where to go. We'll be coming from Manila kasi and we're unfamiliar of this place. Pa help naman. Recently I came across some great articles on your site. The other day, I was discussing (http://www.thepinaywanderer.com/2012/03/paradise-ranch-zoocobia-clark.html ) with my colleagues and they suggested I submit an article of my own. Your site is just perfect for what I have written! Would it be ok to submit the article? It is free of charge, of course! Hi Anonymous! I tried to contact PR/Z several times for directions but they're not responding. And as I said through my previous replies, I don't know how to go there using public transport, you may try to contact them personally by calling the #s posted above or by visiting their website. Thank you. pano po ppntang paradise ranch? :) commute lng po anong sskyan na jeep? Thank you for all the beautiful comments and even recommendations about Paradise Ranch. We are so honored to have somebody like you promoting our mission towards our environment and jobs for the community. We hope that you can continue to write about us to help us promote our humble place. We will also be honored for you to come back and meet you in person. Hi! 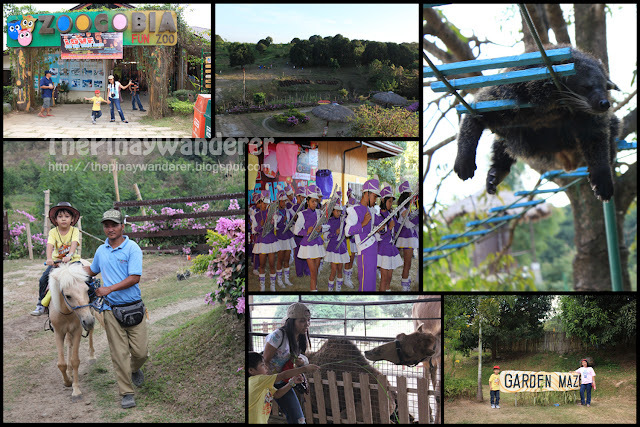 After Sandbox in Porac,Pampanga, we're planning to go to Paradise Ranch. I'm wondering if you know how to commute from Sandbox to Paradise Ranch? I hope to hear from you soon. Thank you very much! worth it nmn po b ung accomodation rate nila? may alam ba kayo sa pampanga na pampanga house and lot?